The ClarkCountyTalk Events Calendar is a powerful tool for sharing your organization’s local events. Our Events Calendar tab is consistently in the top five pages visited daily and our readers know it as the go-to source for what’s happening around Clark County. ClarkCountyTalk.com visitors utilize the free online calendar. Therefore, it’s an excellent way to get the word out about your event. Community members have shared seeing a direct correlation between an event shared on ClarkCountyTalk and increased attendance. The Events Calendar on ClarkCountyTalk.com is consistently one of the most read pages daily. And while ClarkCountyTalk editors ensure that many major community events are included, we rely on our community partners to help us fill the calendar with a diversity of events and happenings appealing to our broad readership. With hundreds of events added monthly to the calendar, it’s important to know how to make yours stand out and offer all the important information needed by readers to ensure they can find and attend your event. Here are five tips to use when submitting your event listings to the ClarkCountyTalk Events Calendar. Use the “Post Your Event” button — The quickest and most accurate way to get your event seen is to utilize the “Post Your Event” button located on the ClarkCountyTalk Events Calendar. This green button is at the top of any calendar page you visit. Simply click this button and a submission form pops up. Filling this form out in its entirety, with all your event’s details, is the surest way to get accurate event information to our readers. Submit ALL the details — When readers click on an event posting, they want to know the who, what, when, where, and how of your event. Be sure to include start and end times for your event (no events are truly all day), the venue (location name), as well as contact information including phone number, email address, websites, Facebook pages, links to purchase tickets and costs. The more specific and complete your information, the easier it is for the community to find you. Click on the green Post an Event to add your own event to our calendar. 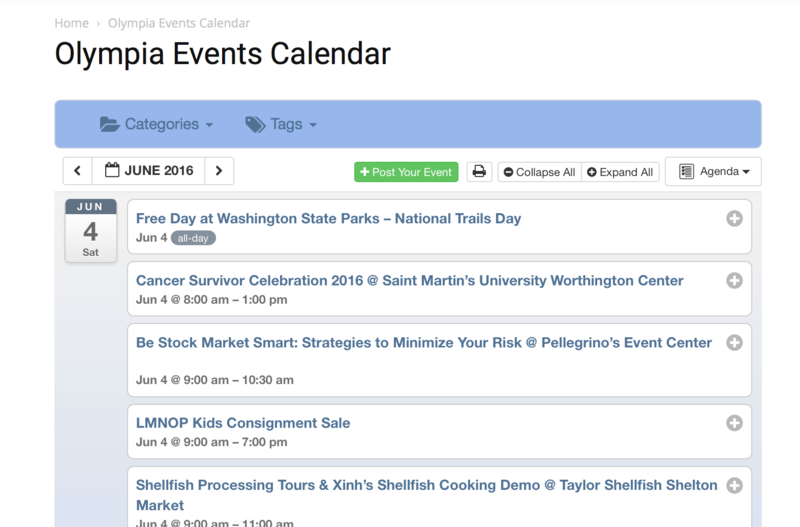 Include a relevant photo — By uploading a quality photo with your calendar entry, you enhance the reader experience when they click your event to learn more. Photos appear as thumbnails in the calendar feed but are featured prominently when readers click for more information. When you include a powerful photo (flyers are ok, too) you create greater interest in your event. Write a description (but not too much!) — Adding a few lines of additional information and details in the “description” box is essential to catching readers interest in your event. This area also gives you the chance to expand on the basic details sharing guest speakers, expanded schedules and more. But be careful — calendar posts should be a quick snapshot. Do not be tempted to cut and paste your entire press release into a calendar entry. Instead, include a link to an external website for more information. Be patient — After you have submitted your event, it enters a queue of events pending approval for publication. Each event on ClarkCountyTalk is reviewed for accuracy by a real person — our ClarkCountyTalk Associate Editor. We aim to have each event approved and published within one to two business days. Be patient — there are human beings behind that screen, but we are happy to answer questions via email at events@clarkcountytalk.com. 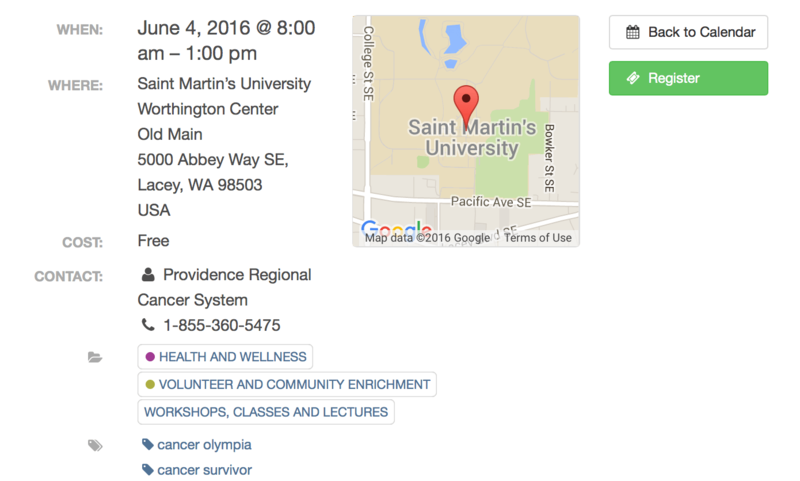 Including complete event information makes it easier for community members to find the details they need to attend. ClarkCountyTalk’s Events Calendar is a powerful tool for linking neighbors and building community. 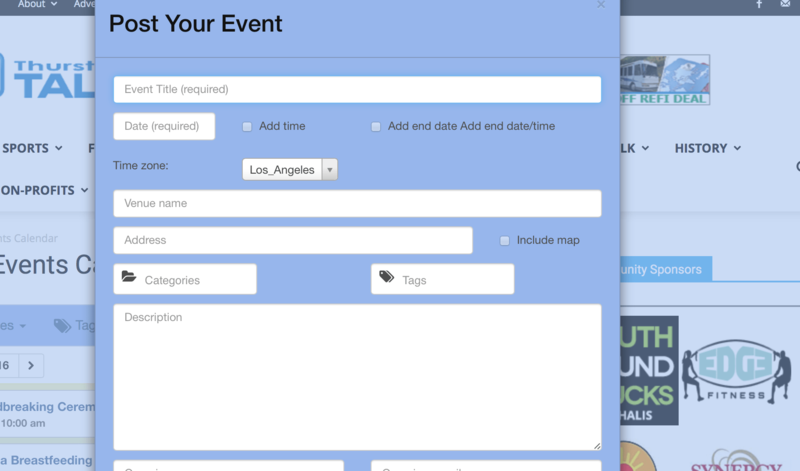 By utilizing this free feature with these five tips in mind, your event is sure to shine. Submit your event to ClarkCountyTalk here. ClarkCountyTalk is a digital media company sharing positive stories about people, places and businesses in Clark County. ClarkCountyTalk offers content marketing and online options across our Community Social Network to advertise in Vancouver, Camas, Battle Ground, and beyond. Advertise with ClarkCountyTalk to reach your target market, grow your brand, and measure results.